Below are just a handful of some of the projects we have completed recently. Contained within is a description of the work undertaken, images and feedback from our client. 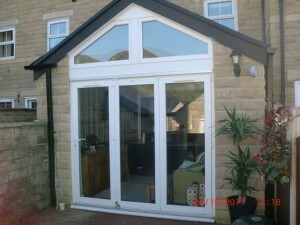 Description: Single story front and side extension with porch. 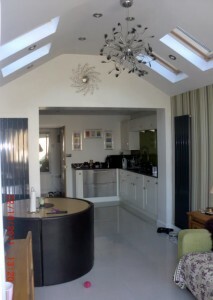 New kitchen formed and fitted out, new bathroom formed and fitted out, new utility room, day room with bi-fold doors. Additional internal works, all internal doors replaced and lounge revamped, externally a decking area built adjacent bi-fold doors. Description: Single bedroom dormer and two bedroom dormer. 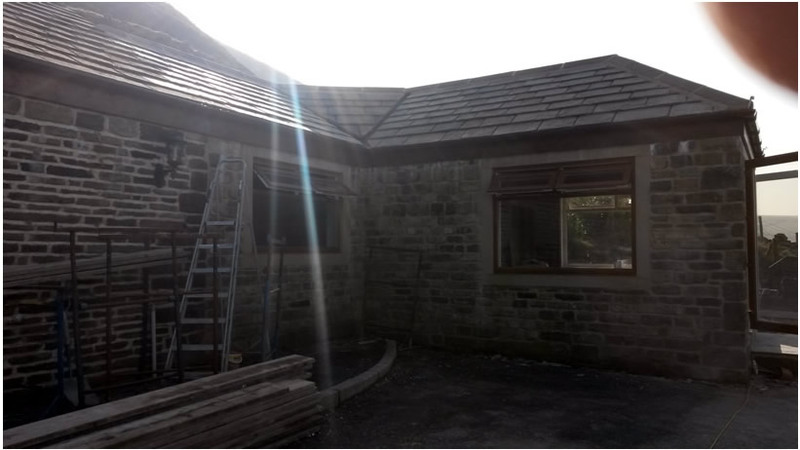 description: This property in Saddleworth was extended out of the front by 2m and up by three levels, externally the project required the re-siting of drains. mains services, extending roof, extending garage and landscaping. Internally, major structural works required to lower ground floor, study, WC and playroom. To the upper ground floor, open plan kitchen and dining room and seperate utility room. To the first floor, two en-suite bathrooms added to the front two bedrooms. Further installation of pressurized water heating system with the re-siting of the gas boiler to garage, intruder alarm, recessed LED lighting and oak flooring. Total project time: 12 weeks. Very pleased with the finished project, a few unforeseen problems were encountered during the course of the extension, these were sorted out with minimal fuss and expenditure. Overall the quality of the work carried out was good and I would certainly use Martin and his team for any future projects. A single story random stone extension situated in Marsden, comprising siting room, bathroom and sun room. 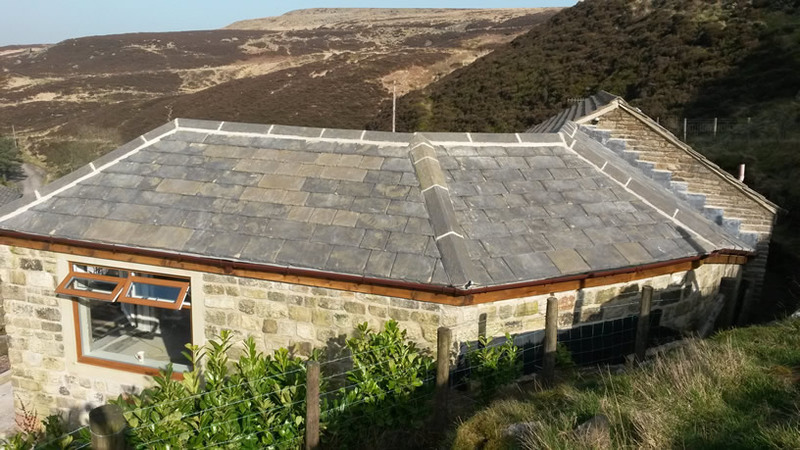 Martin did a professional job on our extension, the tradesmen he employed were brilliant. I would certainly recommend him. Description: Single garage conversion to form a new lounge. 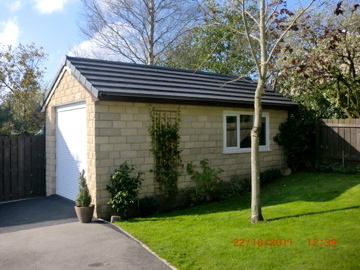 Description: Detached single garage and porch built to match existing stonework. Internally a new fitted kitchen was fitted with hardwood flooring. The total project time: 6 weeks. Martins work is always first class, with attention to detail and tidiness along with a fair price. I would not hesitate in recommending is firm to anyone looking for a proper job. Description: A single story rear extension, new fitted kitchen, floor tiling and decking area to rear. Martin completed a full ground floor extension to our property and we were extremely pleased with the standard of the work completed, quality of staff involved in the job and overall general professionalism. We would recommend Martin to any of our friends and he would be the first person whom we would call upon for any building works in the future. 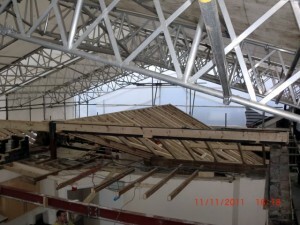 Description: Removal of existing roof and replacement. Martin did an excellent job on our roof. 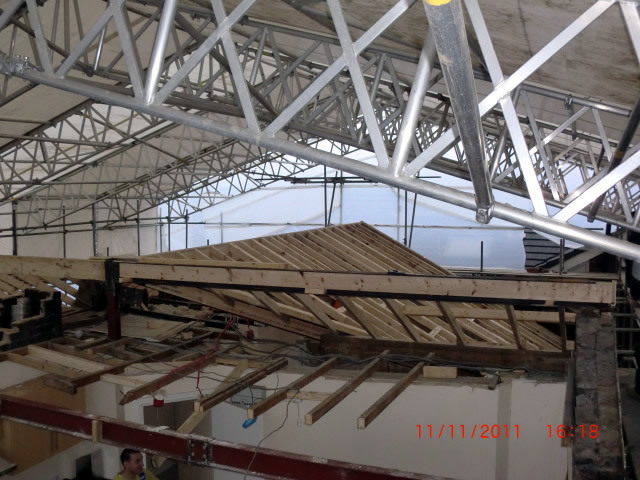 This was a very complex project requiring new timber and steelwork support structure. 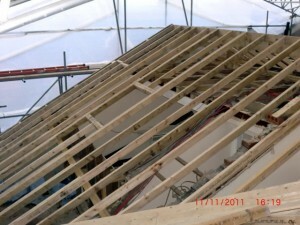 Installaing several velux windows and re-tile of the entire roof. Martin dealt with engineer and building control and kept us informed at all times. The job went as planned to schedule and at the right price. S T, Ashton under Lyne, Tameside. Description: Dormer loft conversion included a gallery room, bedroom and bathroom. I am very pleased with the loft conversion and particularly valued your input to create a gallery, so much better than the original plan! All workmen were pleasant to deal with and a very competitive quote too. All in all a much less stressful experience than I had anticipated. I would thoroughly recommend you. K and L, Diggle, Saddleworth. Description: A single story rear extension, WC and kitchen, natural stone and solid oak floor and new windows to the entire building. I found Martin to be very professional right from the start of the work. everything was kept very neat and tidy around the project and the work that was carried out by all the tradesmen was first class. M and F, Dobcross, Saddleworth. A property extended from the front and up three levels. 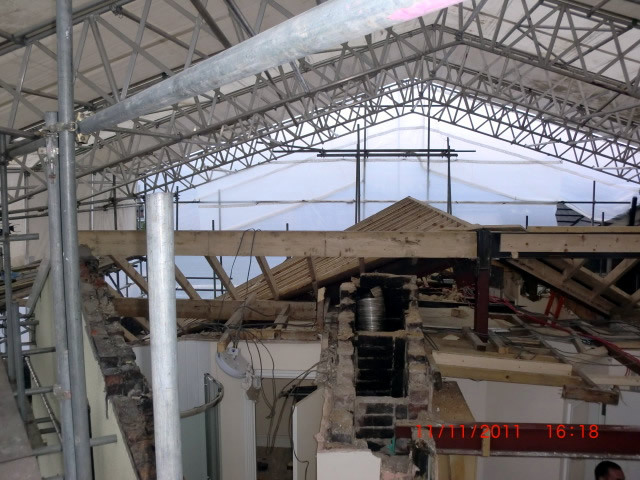 The extension included two new en suites, new study room, open plan kitchen and dining room. 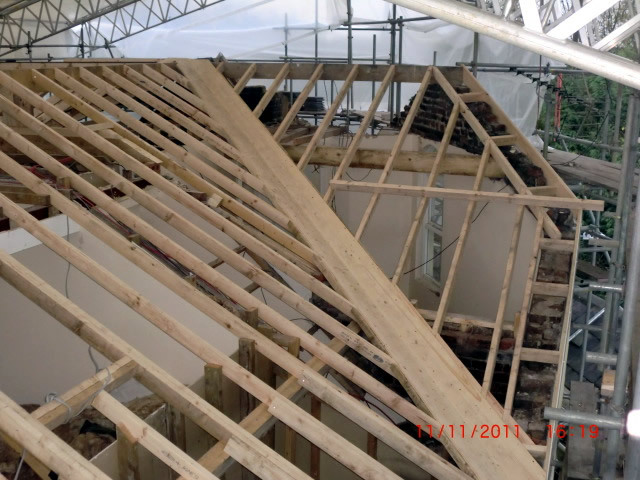 Loft dormer conversion built to match existing roof. 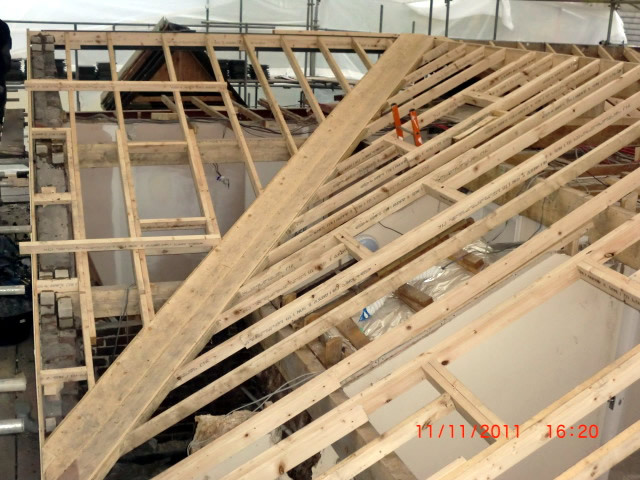 There were addition internal alterations forming new rooms. Front porch and a garage built at the rear of the property to match existing property stonework. Internal alterations with new kitchen.